Fast setting special Synthetic Resin and High Quality Pigments. High Quality Exterior Enamel. High Quality Fast drying Enamel for Automobile. It gives high gun gloss, gloss and colour retention. No cracking or loss of adhesion. 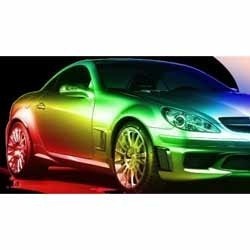 We are a famous organizations for offering a wide range of Automotive Paints in the market. Also, these products are offered under the supervision of the skilled professionals.